Is your house lackluster? Does it suffer from outdated décor? Home décor helps to transform a house into a home. Whether you are adding the best cooling pillow to your bedroom or displaying your favorite kitchen collection on open shelves, inspired home décor ideas can turn bare rooms into cherished nooks, cold hard floors into warm hearths, and blank walls into art galleries. 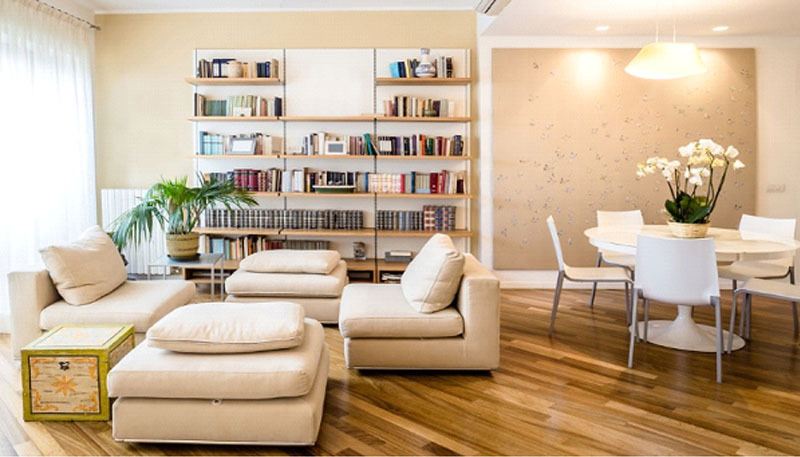 Before you start decorating your living room, think about the primary purpose of the space. It can serve as a formal sitting area or a casual living space. Living room décor is an important aspect to consider seeing that you will not only use it for family time, but also for entertaining guests. Try these five home decor ideas to spice up your living room. Color sets the tone of a room. When choosing living room colors, most people tend to go neutral or boldly colorful. Neutral colored rooms create the perfect canvas for bright accessories and bold accents. The most important thing you can do when picking colors is choosing one that you will love seeing every day. If you opt to go neutral for the big items like the armchair, sofa, and ottomans, then you can go a bit bold on the decorative accessories. This makes it easy for you to swap out the little things, especially when you need to incorporate a new color scheme. Likewise, if you want your staple items to come in bold colors, you can tone down the décor so that they do not fight for attention. Great lighting can help transform your home in a whole new way. Letting in as much natural light in your home is highly recommended. If you have minimal lighting, consider adding high-quality lighting fixtures to give your home a more natural looking glow. Combine wall-fitted lights with table lamps and if possible, dimmer switches. Unique lighting fixtures can help draw attention to a favorite furnishing area or artwork in your living room. The flooring of a home is an incredibly functional aspect. Choosing the right floor for your home sets you up for years of good looks, durability, and comfort. If you do not plan on renovating your living room floor, layer rugs for richness. Area rugs come in different prints, colors, and sizes. They help to give your floors a quick and stylish makeover. Use your carpets to define and enrich the palette of patterns in your living room. Focal points help to make a room feel much more inviting. Choosing a focal point in your living room can be a daunting task, especially when you do not have any distinct architectural features such as a fireplace in your home to work with. In such a case, mirrors, exclusive pictures, dramatic pieces, sculptures and artwork can become the key look in your focal point. When choosing a focal point, focus on your room’s best qualities. Decorate and frame it with art, mirrors or dramatic pieces. Make sure not to overcrowd the area. An organized house is a happy home. One thing that never goes out of style is smart storage solutions. Whether it is a small wall shelve, inbuilt furniture storage or an elegant handmade home organizer, it can help improve your interior quickly and effortlessly. Smart storage helps to maximize space and ensures that your home is always in order. Once you have your room all spruced up, it is time to think about the final touches. Accessorize your living room with pieces that complement your design scheme. 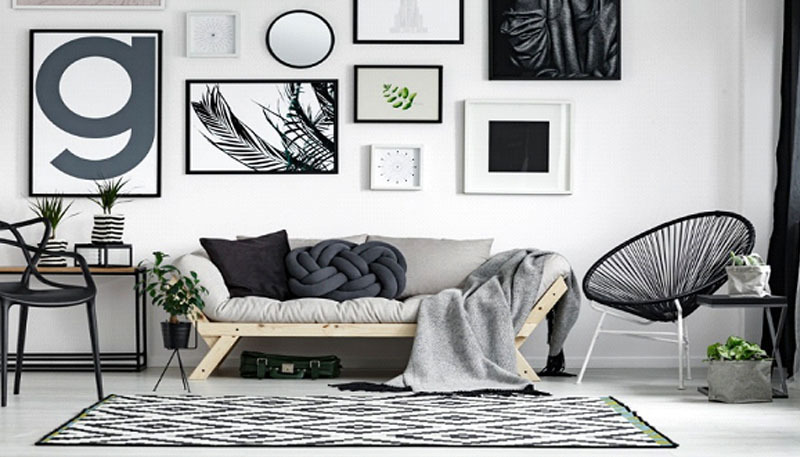 Incorporate cushions, wall art, and cool throws into your overall theme. Fresh flowers and plants can also bring your space to life. Always keep your eyes open to new ideas by visiting different flea markets to check for unique accessories to add to your home.